South Africa has seen a decrease in the number of rhinos poached since the beginning of this year, thanks to enhanced anti-poaching efforts, authorities said on Friday. From January 1 to August 31 this year, 508 rhinos were poached nationwide, compared to 691 for the same period in 2017, the Department of Environmental Affairs (DEA) said in its latest update on the implementation of the Integrated Strategic Management of Rhinoceros. As nearly all provinces experienced dramatic declines, the Kruger National Park (KNP), which bears the brunt of rhino poaching, also reported a decline in rhino poaching, the DEA said. In the period under review, the park lost 292 rhinos to poaching, compared to 332 in the same period last year. This decline comes despite a dramatic escalation in poacher activity inside the park where a total of 1,873 incidents were recorded in the period under review. This is compared to 1,702 incidents in 2017. It is also particularly pleasing to note the decline in the numbers of rhino poached in KwaZulu-Natal Province during the period when 508 rhinos were poached, compared to 691 for the same period in 2017, said the DEA. The department attributed the success to enhanced anti-rhino efforts. Since January this year, approximately 400 suspects have been arrested on a range of charges including rhino poaching, said the DEA. For the KNP alone, the number of alleged poacher arrests stands at 162, while a total of 145 weapons have been seized in rhino-related incidents both inside and outside the park; and a total of 83 rhino horns confiscated. Those arrested include four officials from the South African Police Service (SAPS) and the South African National Defence Force (SANDF), according to the department. South Africa is home to about 90 percent of the world’s rhino population. In 2017, the country lost 1,028 rhinos to poaching. 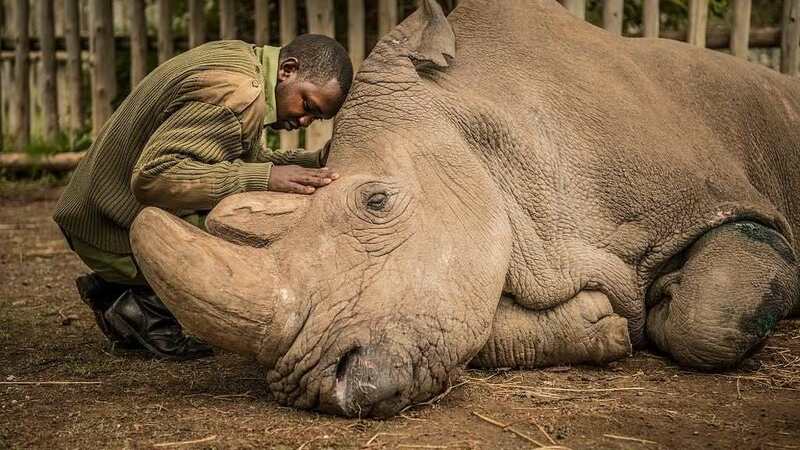 The government has warned that the country’s rhino population will be close to extinction by 2026 if no effective measures are taken to curb rhino poaching.